Well another chase season has come to an end and I will be flying back to Australia tomorrow night. It has been a hell of an adventure this year with ridiculous amounts of travelling, making many new friends and new memories along the way. Most people cannot understand what storm chasing is all about and the close friendships that are formed travelling the country day in day out. There is more to storm chasing than simply getting a tornado, it is also about the adventure itself and all aspects of weather in general. This years chase season was especially challenging for all chasers and it has involved tons of travelling getting into position day to day. This year we covered 11,073 miles (17,820 km) in 20 days across 10 US states not to mention Saskatchewan and Manitoba while we were in Canada. We have covered all the way from the Mexico border right into Canada and managed to cross the Canada border 3 times in 1 day chasing storms. It has been a hell of a trip to say the least. Looking forward to sharing content shortly with everyone from this year along with plans for next years project! Here is a couple of pictures from the Mammatus formation in Texas 2 days ago. It was a jaw dropping experience that I don't expect to top anytime soon! So we stopped for dinner in Lubbock, TX on our way to Plainview, TX for the night and were met with storms from south west and north west. We just missed the hail core of the storm and 96mph (154km/h) winds and tennis ball sized hail by 9 miles. Crazy day! Put on a good lightning show for us though. First picture from our amazing storm yesterday, so close to putting down a tornado, it would have been the perfect moment. Still one of my favourites though. Been a very busy couple of days, we had an amazing day yesterday playing in New Mexico. We ended up in Roy, New Mexico with some amazing cell structure with rotation that almost dropped a tornado in the perfect spot. Unfortunately it wasn't meant to be and the lowered base disappeared after 10 minutes. We didn't leave empty handed though with amazing structure shots, mammatus cloud formations everywhere and getting hammered with hail while filming. We are playing the border around New Mexico / Texas again today, heres hoping! Well 2014 is still living up to its reputation of disappointment again, today didn't go so well when it came to tornados but we managed to go head on into a gustnado while blasting west to try and meet a new developing storm. There was also very large hail today in various areas (up to tennis ball size). Chilling out at the hotel now watching the lightning show. Tomorrow is shaping up to be a big day for storm chasing, possibly the biggest event for the year. Possible chance of large, long lived tornados tomorrow. We are currently getting into position and will be starting from York, Nebraska. This will most likely be the make or break day for this season. Its been quiet the last few days as we wait for new storms to develop, we have chased all the way up through Montana into Canada but things just didn't happen. 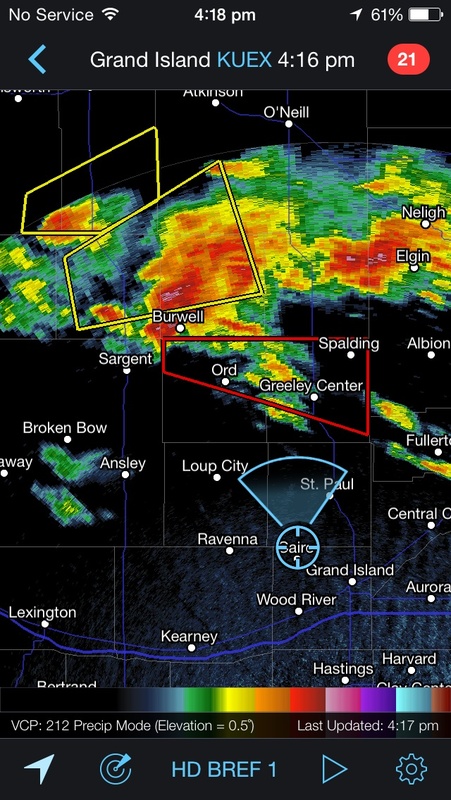 Today we are currently in South Dakota and look to be heading south to meet up with developing storms. Here is the video of Scott being hit by lightning on Tuesday, absolutely crazy! Even after we arrived the road still smelt like burning ozone and tar. After 2 days driving and 1120 miles we are almost in position finally, area of interest is right where it was predicted and we have another 6 hours on the road today to get in position on the Canada boarder. Things are looking good! We are about to leave Miles City, Montana heading north. We just stopped to help a fellow chaser who took a direct hit from a lightning strike south of Rapid City, SD. Really shows the amazing power of lightning as it rips up the road and took out the cars electronics. There was video of what happened also that I am sure will be seen in the future. The chaser is ok thank god! Another day of storms yesterday as we chased right to the Mexico border. There was a storm of interest just across the border but we decided to pursue a storm to the north-west just into New Mexico. We ended up with a storm that quickly developed and we decided to go through the hail core, amazing photos and footage followed. We are currently punching it north for Montana / Canada to get setup for some amazing stuff to come. Was an amazing day yesterday in southern Texas. Managed to chase down developing storms from the South-West and tracked them to San Angelo where we have stopped for the night. The storms put on an amazing show well into the evening with continuous lightning and thunder. Looks like we will be chasing around here again today, possibly further south towards Mexico. Currently dropping south from Sterling City, TX to intercept tornado warned storms with 3 inch hail. Currently hanging out in Texas with some tornado potential later in the day, currently heading south towards Mexico border. After 1400km driving, we are finally in position for the next set of developing storms. We are currently in Roswell, New Mexico and had some nice storms yesterday over the plains of New Mexico and Mammatus clouds to finish the day off. We also passed through Roy, New Mexico. A tiny town with a population around 300. Was a big day yesterday with a brief rain wrapped tornado east of Denver. We tracked with the storm for a few hours but our window of opportunity passed. We are currently at Starkville, CO near the New Mexico boarder. Heading south today to be in position for new developing storms.